The Fertilizer Research and Education Program (FREP) funds and coordinates research to advance the environmentally safe and agronomically sound use and handling of fertilizer materials. 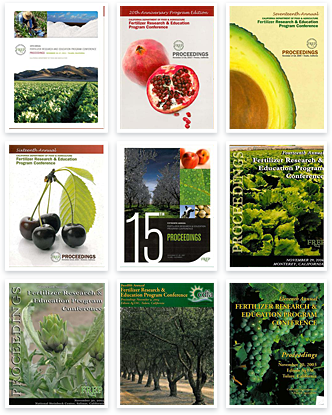 Since 1990, FREP has funded research on many of California's important and environmentally sensitive cropping systems. This database aims to make the wealth of information contained in FREP research projects readily available, easily understandable, and convenient for growers to implement.